Barbara Hepworth | Pictures without film. Welcome to One word Sunday – over to all of you to join the challenge with your own contrast post. So I have done a couple of contrast posts recently and wondered what I would have for this one. But a quick look at the albums made me start thinking about this shot, not just the contrast in the shot, but the contrast between the objects. I am fairly sure that this juxtaposition of solid versus holed objects would be what Barbara Hepworth wanted us to consider. 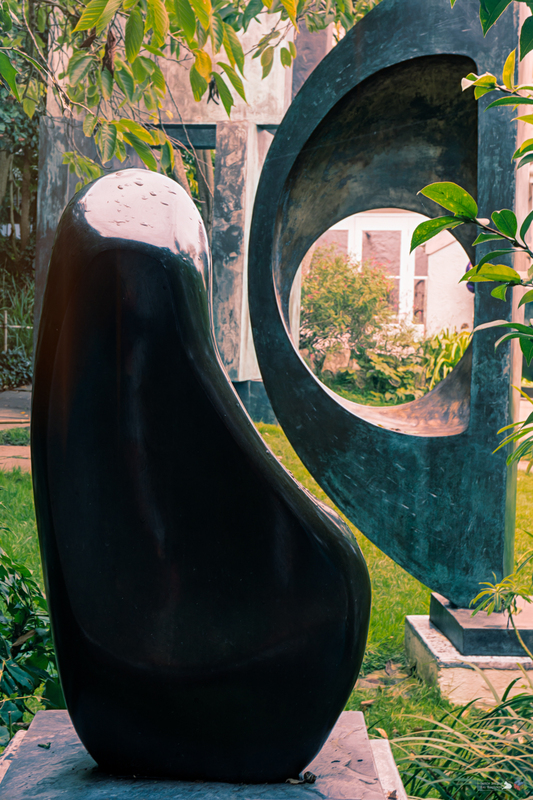 ‘Contrasting forms’, Barbara Hepworth Museum and Sculpture Garden, St. Ives, 2014.